There were eight stages in this journey which took about 35 hours to complete, with no opportunity to sleep properly at any time during the journey. Stage 1 was taxi from home to Belgrave, supplied by Emerald taxi service. Taxi arrived on time, driver knew where Norway was, and provided the opportunity for good conversation on the way. 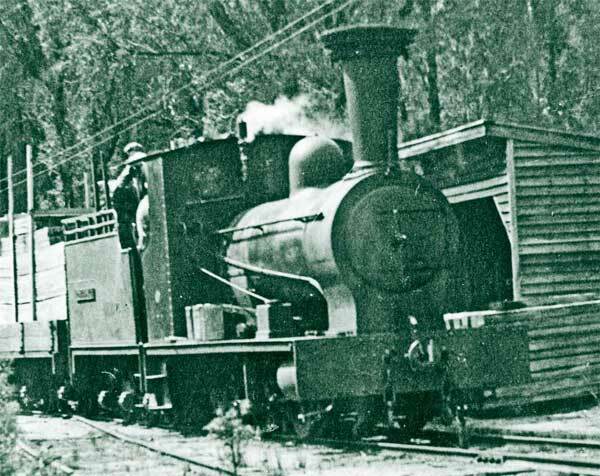 Stage 2 was 5ft 3in gauge electric train from Belgrave to Spencer Street station, Melbourne (though the powers that be - in their infinite wisdom - have renamed the station Southern Cross). This is the first time I have travelled on a Melbourne suburban train this year, and it ran efficiently and to time. From what I here on the radio and read in the papers, this is not normal! Stage 3 was the Skybus service from Spencer Street station to Tullamarine airport, and as with my previous experiences on this service, it ran with awesome efficiency and reliability, which makes it difficult to justify a rail connection to the airport, unfortunately. Stage 4 was Qantas flight QF9 to Singapore. Now we get to the long and gruelling stages! International travel for third class passengers has lost all its relaxed charm, but on the other hand it is affordable, which is a new phenomenon. Flight was uneventful, hardly any turbulence, and it ran to schedule. I got an "exit seat" which was a very good investment of $160, as it provided leg room, thereby avoiding the mysery of being crammed into a confined space for too long. By the way, the $160 covered both stage 4 and 5. This lasted about 8 hours, arriving Singapore about 9:00pm (11:00pm Melbourne time). Two meals were served during the flight, and the only highlight was the "Toasted sweet potato, spinach and feta sandwich" provided as the main part of the second meal. This was amazingly good wholemeal grain bread with a very tasty filling which all looked very healthy to me. Stage 5 was the continuation of Qantas QF9 to London. This was the long haul stage - over 12 hours - mostly in darkness, and mostly spent in a non-sleeping semi-stupor. From extensive research on the Internet I get the impression that Qantas has a good reputation for trying to make long-haul flights for third-class passengers at least bearable, and my experience on this and the previous trip to Norway supports that view. I was tempted to take a different route this time, via Amsterdam, and mostly by KLM. It had the very attractive feature of being $1000 cheaper, but from what I read on customer reviews on the Internet, KLM does not have a similar reputation for long haul flights. A pity because KLM is the oldest airline in the world, and a pioneer of long haul flights. It beats Qantas by one year, which is the second oldest. This flight departed Singapore around 11:15pm, and arrived London around 5:15am London time, which was close to schedule. Again the flight was remarkably devoid of interesting turbulence. Stage 6 was a very short one, but I count it as a a stage because it involved another vehicle - a bus from Heathrow Terminal 3 to Heathrow Terminal 5, which is a sufficiently long and convoluted trip that it takes about six minutes, and despite the time being 5:50am the bus was full to capacity. I must say that Heathrow is exceptionally well signposted, and it would be difficult to get lost transferring from one terminal to another. Stage 7 was a British Airways flight to Oslo, which is about 900 miles and takes about two hours. The aircraft was an Airbus A320 and with more comfortable seating than on the Qantas 747, which was rather elderly. I already had my boarding pass for this flight, which I got on departure from Melbourne, requesting a window seat if possible. And the attendant in Melbourne said you have got seat 7A.which is a good window seat, and he was right! It is always interesting viewing unfamiliar territory from above. In this case England was about 50% cloud-covered, though this varied from about 80% near the start of the trip to about 20% in the east. The really interesting bit came when the southern Norwegian coast came into view near Kristiansand. I new that the western Norwegian coast was very convoluted and complicated, but I had not realized that the southern coast was equally so, with numerous islands, many of very odd shape, and many parts of the mainland attached to the rest of the mainland by a tiny stretch of land. It is no wonder that the Norwegians are experts in building underwater tunnels, big bridges, and running ferries. Stage 7 ran to schedule, again without any turbulence. A very small (but good quality) cheese roll and orange juice was provided as part of the service, and the service was good. Stage 8 was "Flytoget" (the Air-train) which provides a high-speed train link to Oslo central station. I think the distance is about 75km, and the speed about 160km/h or possibly faster. After my Belgrave-Melbourne trip the difference in track quality was a revelation. Absolutely rock steady, no bumps or jolts, and almost silent. So that's the end of the trip report, at 11:18 pm Thursday local time. Please make allowances for any spelling mistakes or other errors - I am getting tired!